A FREE monthly art journaling class. 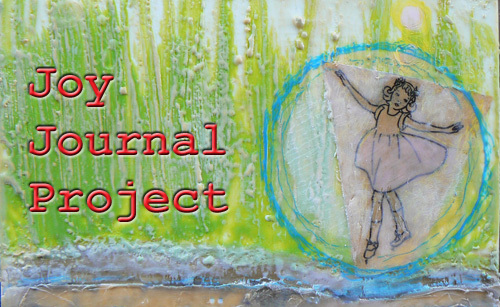 We will be exploring ways of expressing appreciation and storytelling through art journaling. No experience or artistic capability is necessary, only a desire to spend time in play and exploration. While the project began June 3, 2012, you can jump in at any time. A full year of monthly assignments are available and free. I have only been keeping an art journal for a year and I am often left sitting and looking at a page with nothing coming to mind. Please help I need inspiration. If you still need inspiration, search art journal prompts on the internet. You will find an abundance of prompts and beautiful images to go with them.